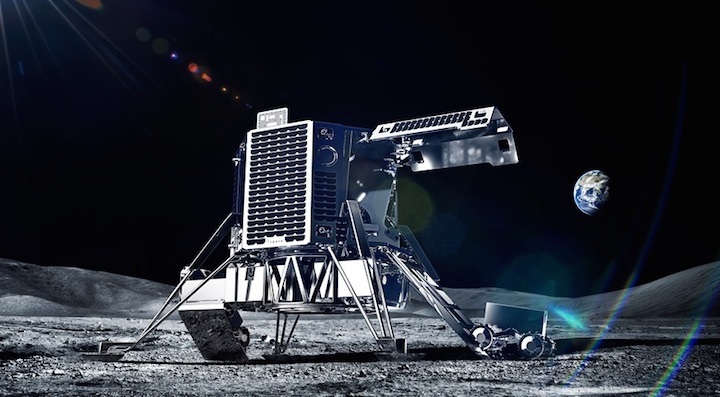 Raumfahrt+Astronomie-Blog von CENAP - Blog: Raumfahrt - Japanese companies are planning to kick-start the lunar economy by backing a local startup’s mission to land on the moon by 2020. Japanese companies are planning to kick-start the lunar economy by backing a local startup’s mission to land on the moon by 2020. Tokyo-based Ispace Inc. said it raised 10.2 billion yen ($90 million) from some of the country’s biggest businesses, including Japan Airlines Co. and television network Tokyo Broadcasting System Holdings Inc. The funds will be used to send a spacecraft into lunar orbit by 2019, and then land one a year later. Private companies are playing a bigger role in space development, from Elon Musk’s rocket launcher Space Exploration Technologies Corp. and asteroid miner Planetary Resources Inc., seeking to deliver humanity to the cosmos while securing a return for their shareholders. Ispace says a thriving lunar economy is still decades away, but it is putting profits and corporate projects at the heart of its missions in the coming years. Musk voiced support for the latest U.S. effort to return to the moon. “It is high time that humanity went beyond Earth. Should have a moon base by now,” he wrote on Twitter. Ispace says the initial business opportunity is mostly in marketing, including slapping corporate logos on its spacecrafts and rovers, and delivering images to be used in advertising. A successful landing will also let the company offer what it calls a "projection mapping service" -- a small billboard on the moon’s surface. The startup says there will be demand from corporations looking to show off their logos with Earth in the background. From 2021, Hakamada plans to land exploration vehicles that will search for water. That in turn can be turned into hydrogen fuel and ultimately perhaps support a lunar settlement. Ispace estimates there are billions of tons of water on the moon, but hard evidence is lacking. In 2009, NASA researchers found molecules associated with water. This year, a study used satellite data to estimate that large amounts of water likely exist under the surface. Ispace got its start through Google’s Lunar Xprize, a competition sponsored by Alphabet Inc. that will award $20 million to whoever can land and drive a spacecraft on the moon’s surface. Established in 2007 with a target date of 2012 for the first mission, the deadline has been repeatedly pushed back as participants faced technical and financial challenges. Hakamada said Ispace’s goals are mostly independent of his efforts with Team Hakuto, his partner in Google’s competition. He says both projects will continue, but the funding round will seed development of a sustainable business. Most companies in Google’s competition have similar plans, including Cape Canaveral-based startup Moon Express, which counts Chinese gaming giant Tencent Holdings Ltd. among its investors. Japanese companies have a history of fascination with space. In 2014, Otsuka Holdings Co. announced plans to deliver a can of its Pocari Sweat drink to the moon’s surface. In 1990, TBS sent a journalist on a Soviet rocket to the Mir space station. “Among Series A funding rounds, this one is the biggest ever for Japan and the biggest globally for a space-related startup,” Hakamada said. NEW ORLEANS — A Japanese company planning a series of robotic missions to the moon announced Dec. 13 that it has raised more than $90 million in one of the largest Series A funding rounds for any emerging space venture. Tokyo-based ispace said the $90.2 million round, featuring a consortium of Japanese funds and companies, will be used to develop a pair of missions launching by the end of 2020 to orbit and land on the moon, precursors for a more regular series of lunar lander missions in following years. 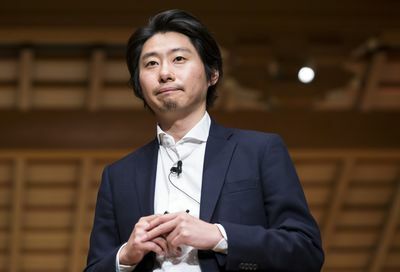 In an interview, Takeshi Hakamada, founder and chief executive of ispace, said it raised such a large round in order to ensure it had enough funding to carry out those demonstration missions. The two missions ispace has planned involve a lander system the company is developing. The first mission, planned for the fourth quarter of 2019, will place the lander in lunar orbit to carry out observations of the lunar surface. The second mission, planned for launch by the end of 2020, will attempt to land on the surface and deploy a number of small rovers. Work on the lander started early this year, Hakamada said. The lander should go through two key development milestones, a preliminary design review followed by a critical design review, next year. He said the company is in discussions to launch the spacecraft as secondary payloads on vehicles like SpaceX’s Falcon 9. If the missions are successful, he said ispace plans to offer a regular series of lander missions to carry up to 30 kilograms of customer payloads per flight. “We are going to establish a transportation business to the moon,” he said. “One key concept is regular, scheduled transportation to the moon.” Such missions, he added, could fly as frequently as every month depending on customer demand. Hakamada said that revenue from those missions might be sufficient to allow the company to forego additional funding rounds. “If we can successfully demonstrate our technologies through these first two missions, we don’t need to raise additional funding,” he said. The initial lander missions will not be the first spacecraft that ispace sends to the moon. The company, through Team Hakuto, is a finalist for the Google Lunar X Prize. The team has built a rover that it plans to fly to the moon on a lander being developed by another finalist, Team Indus. The team has built the rover and is completing testing of it before shipping it to Team Indus later in the month. It’s unclear, though, when Team Indus will be ready for launch. That team recently said it was seeking to raise $35 million, half of the mission’s overall cost, through sponsorships and crowdfunding. That effort comes just months before the competition is set to expire at the end of March 2018. Hakamada said the teams were still working to launch the mission before the prize deadline, but declined to give a launch date. Several funds and companies backed the Series A round. Hakamada said he could not disclose the amounts each participant in the round provided, but said that Innovation Network Corporation of Japan led the round with $31 million. Other participants in the Series A round included Development Bank of Japan, Tokyo Broadcasting System, Konica Minolta, Shimizu, Suzuki Motor, SPARX, Dentsu, Real Tech Fund, KDDI, Japan Airlines and Toppan Printing. Besides funding, Hakamada said that the investors will be providing technology and other support to ispace. The company said that that the $90.2 million round was the largest Series A round to date in the “global commercial space sector.” However, OneWeb, the company developing a broadband satellite constellation, raised $500 million in what it called a Series A round in 2015. While headquartered in Tokyo, ispace also has offices in the United States and Luxembourg, responsible for business development in North America and Europe, respectively, as well as working on payloads for those customers. The company has a memorandum of understanding with the Luxembourg government’s SpaceResources.lu initiative to support the creation of a space resources industry in the company, and is working with a research institute there on a mass spectrometer instrument to be flown on its spacecraft. Japan Airlines has committed to invest in Japanese space transport business Ispace, which is attempting to launch two missions to the moon by 2020. JAL says it has agreed to a “capital and business alliance” with the company, in addition to its sponsorship of the Hakuto lunar exploration team managed by Ispace. JAL says that besides contributing capital to the company, it will work with Ispace on transportation, maintenance and operation of the space travel business. Ispace raised $90.2 million in series A funding this month, which it says is the largest fundraising in the commercial space sector. The move by JAL to invest in Ispace follows its announcement last week of a $10 million investment in prospective supersonic aircraft manufacturer Boom Supersonic. Under that deal it also made pre-order commitments for 20 aircraft.